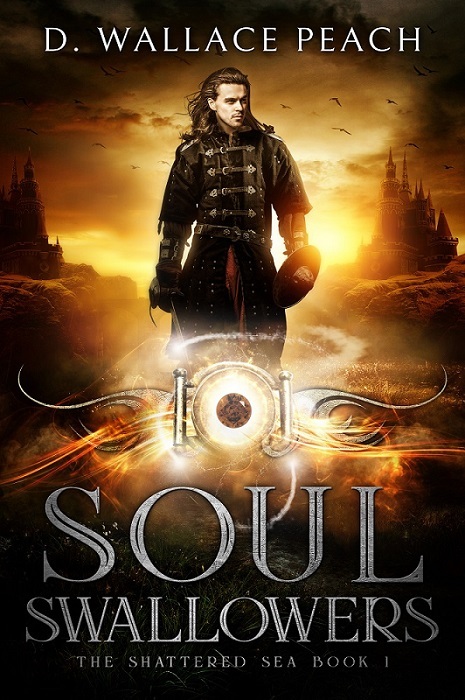 This entry was posted in Soul Swallowers and tagged Coming of Age, D. Wallace Peach, epic fantasy, fantasy, legacy of souls, magic, New fantasy novel, Soul Swallowers, souls, The Shattered Sea Series, young adult. Congrats, congrats and congrats!!! Woohoo!!! What an accomplishment! Ha ha. This comment brought me my first laugh of the day. It’s always a thrill, no matter how many books I publish. 🙂 Thank you for helping me celebrate. Happy Writing! Just so happy for you! Thanks so much, Inese. Yes, a new book! 🙂 It’s lovely to see you here, and I did miss your beautiful words and photography. I hope you’re well and that your absence has been in the pursuit of beauty and adventure. Thank you Diana. Got the #1 book, all immersed in reading 🙂 Pre-ordered the second book, delighted. Aww. Thank you, Inese. ❤ You are the best! I love when a little thing like a photo, a word, or a song reignite a story we thought lost. Congratulations! Thanks so much for joining in the my little celebration. It is fun when something reawakens a story and gives it new life. This character was very patient! ❤ Happy Weekend! Ha ha ha. Forget you? Never. Belated congratulations, Diana! If the inside is anything like that amazing cover, I’m sure you’ve got a hit on your hands! That would be nice! The designer did a great job on the cover and I’m hoping the contents match. Lol. Thanks for the cheers! Thanks so much for stopping by, Marje, and for the cheers. It’s been a fun week, and now I’m on to the next project (trying). Have a wonderful week and Happy Writing! Thanks so much, Lana. It’s been a pretty fun week of celebration. 🙂 Now I’m on to the next project and slogging through an outline. *Sigh*. Thanks for the visit and for putting a smile on my face. 😀 Happy Saturday! Congratulations, Diana. This book sounds awesome and one that I would really like. Thanks for the congrats, Robbie. It’s been a busy few days of celebration, and I’m tuckered out! Ha ha. Not really. Everyone is so kind, including you. Have a wonderful weekend! Congratulations on the birth of a new baby, Diana! Thanks so much, Jan. It was a fun launch and now the less-fun of marketing starts. Lol. And it does feel like a new baby…. or maybe a teenager that I finally kicked out of the house! Have a great day and Happy Writing! Thanks so much, Ellen. That’s fun to think about, isn’t it? Your book is next on my list. 😀 I had a fun launch, and of course, now the marketing work starts (not nearly as exciting). Hope you have a great day and Happy Writing! Ha ha ha. All these wonderful crises, huh? Thanks for the congrats and for joining me in a happy dance. I know you can relate. 😀 Have a wonderful day and Happy Writing! Aw, thank you! I did a lot of celebrating and enjoyed all the enthusiasm from this community of writers and artists. ❤ Can't beat it! Happy Creating! This book sounds fantastic! Congratulations! Now please tell me that souls taste like chicken. Ha ha ha ha ha. *Sigh* Ha ha ha. They taste like chewable vitamin C.
Do souls prevent scurvy, then? I fear I am a bit late for the celebratory dance, Diana!! I will do a tiny bop by myself. 💃I am SO HAPPY for you and congratulations on your latest book!! 🎉🍾 Well done to Cathleen and Erik for all their superb help and also kudos to Sue for unintentionally rekindling your interest in Raze and the book. You’re very welcome, Diana! How true that none of this writing business would be possible without the support and inspiration of friends. I gave a talk/interview yesterday to a group of over 40 (I thought it was going to be 14!) and I sang the praises of the encouragement and inspiration I received here from so many and said my first book would not have been written if it wasn’t for so many’s persistence!! I am forever thankful & grateful. Wishing you a lovely rest of the week too and glad you’re still so excited and happy about your latest book venture! Enjoy! Just started this book. The ‘About this book’ summary has me addicted already! Yay! Thanks, Jacqui. I hope you enjoy it. Doing another little happy dance. Ha ha. Have a great week and Happy Writing! Thanks for the cheers, Natalie. It’s been a busy couple days and lots of fun finally getting this one out to the world. Have a wonderful week and Happy Writing! Congratulations. Wish you all the best for its success. Thanks you! 😀 Have a most wonderful day and week ahead. Thanks, dear. Wish same to you. Very interesting Title. Would love to read it. Thanks for stopping by to check out the latest and for the kind wishes. It’s always exciting as well as a relief to finally kick a book out of the house. 🙂 Have a great week. you are a genius Diana, thank you for letting us know. Wow congratulations! You should be dancing and singing! YEAH! Woot!!! I know it’s as much a relief as a celebration… at first. But I hope you’re just all out celebrating now, Diana. What a tremendous accomplishment. I love the concept of this series. It’s so fresh and imaginative. Congratulations! Huge hugs! You amaze me. So much writing and such quality! I have the great luxury of not having to work, and having no other interests. Ha ha. Congregations Diana for such a beautiful book. One small suggestion, one USA dollar is almost 70 in Indian rupees, so price of your book is showing too high in Amazon.in, please try to keep your book price under one dollar in Amazon.in. So it’ll affordable for Indian reader. Thanks for the compliment, Bibhuti. I didn’t realize that the cost is so high in India. Usually I put in the US price and Amazon does all the calculations. I wasn’t aware that I could price it differently in different countries myself. I’ll take a look at that. Thanks so much for the tip. 🙂 And thank you for the cheers. It’s been a busy and fun couple of days. Happy Writing, my friend. Thanks to take my suggestions seriously. I’m very excited for you! Everyone loves a good launch, and I feel like this will be one. Just a side note, for some reason your blog post has this nice white background I can read, but your homepage only has the picture of the tree and I couldn’t read anything on there. It may be my browser (Firefox), or there may be something glitching on your website, I don’t know but I just wanted to warn you if someone else came here and couldn’t read about your great books. I’ve been offline enjoying a long weekend, but I pre-ordered this and it showed up on my Kindle, all ready for reading. I’ve have two other books to finish in a trilogy I’m reading and Soul Swallowers is next. I’m so looking forward to escaping into your magical worlds. Happy, happy day to you!! I’m doing a happy dance right along with you. Congratulations! Thanks for the reblog! Another happy dance! Ha ha. Wonderful news, Diana! We all join you for a dance party! Isn’t that a cute little clip. It’s what I think of when I feel a happy dance coming on. 🙂 Thanks for the cheers and enthusiasm. Happy Writing! We used to watch the replay of many episodes. 🙂 Thank you, Diana! Congratulations. What a wonderful achievement. Thank you, Tom. It always feels good no matter how many books we have out there. A fun couple days of celebration and then on to the next one. 🙂 Have a wonderful week! Absolutely. Well done. I love your enthusiasm. oh wonderful news! Congratulations. your muse must be so proud of you. I’m also the type who saves unfinished stories here and there in hope i’ll pick them up someday and turn them into a book. And yours sound like a great epic. Thanks for the cheers, Val. It’s been a couple of exciting days and I’ve been doing a lot of happy dancing. 😀 Now to start on the next one! Loved the cover and the title. You almost don’t need a description to sell. I have been celebrating, Tanya. Lots of Happy Dancing – getting my exercise these days! Thanks so much for the kind words and enthusiasm, my friend. If you get a chance to pick it up, I hope you enjoy! ❤ Have a wonderfully sweet week.